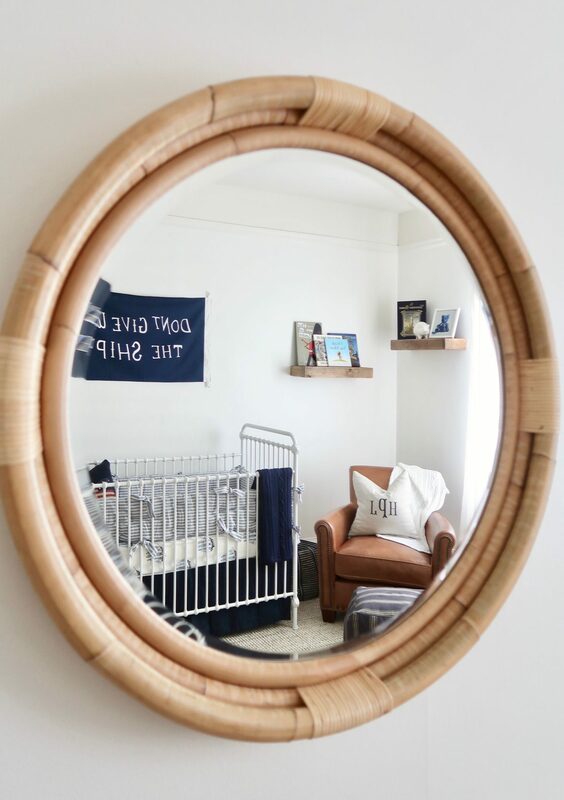 Baby Book – I absolutely love the baby book I received from Sugar Paper. It has Henry’s initials embossed in gold on the cover and the inside is very beautifully designed. I love the contents of the pages, too! About half of it is for pregnancy and birth, and the second half takes you through highlights of months 1-12. Monogrammed Bath Towel – makes bath time extra special! Etsy is a great source for monogramming if you don’t have a local spot. Blankets – This one is obvious, but receiving blankets are so important! We use them every day, so having some nice, cozy ones are a treat. I love the ones I have from Little Giraffe, Ralph Lauren and Kissy Kissy. Onesies – A newborn can never have too many cozy onesies. My absolute favorite are Kissy Kissy because they are incredibly soft and have the sweetest designs. Solly Baby Wrap – These wraps make for a stylish way to keep baby close to you (and often way more convenient than a stroller). 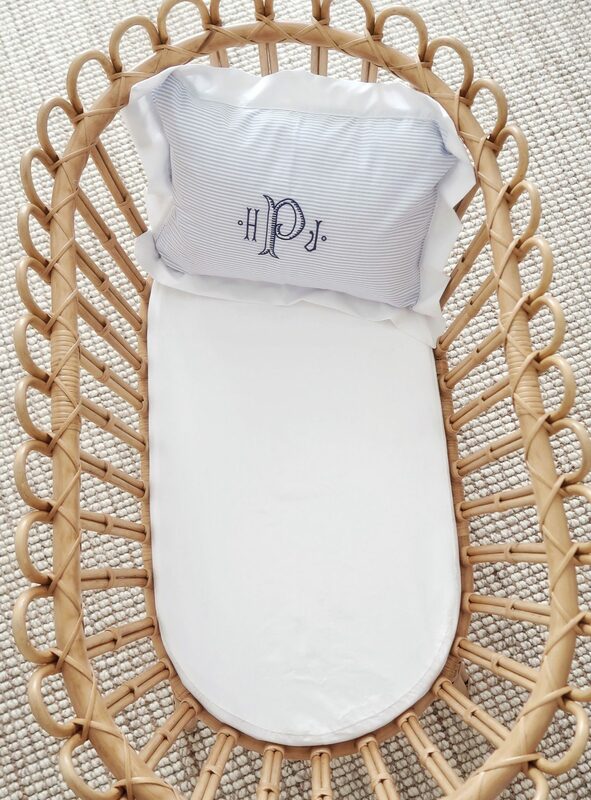 Monogrammed Pillow – I love the idea of monogrammed anything, but a little pillow is especially a great, long-lasting gift. Again, Etsy is a great source for monogrammed gifts if you don’t have a local spot. 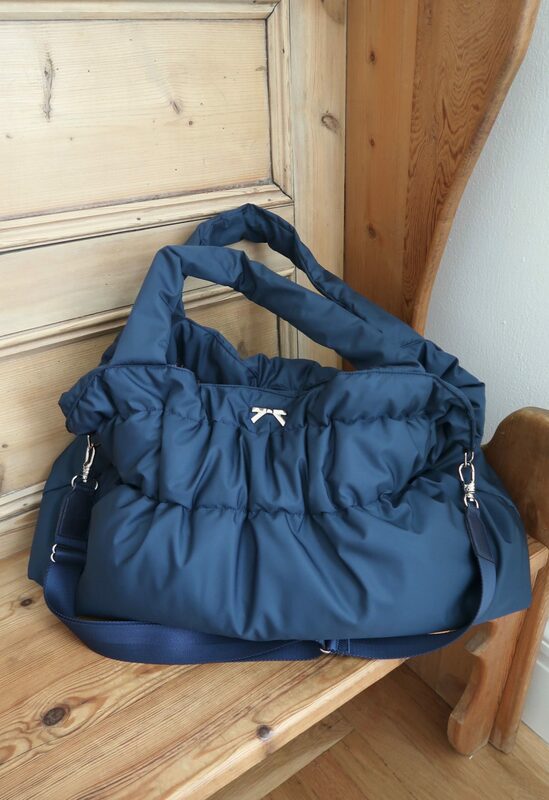 Lands End Canvas Tote – These canvas totes are my favorite casual bag (again, monogrammed!) Get a smaller one for daily use, or the large for a suitcase. I used the XL for my hospital bag, and now for a weekend suitcase. The World of Peter Rabbit – A classic! The full set (tales 1-23) which are housed in a box set make for an unexpected, yet special gift. Pajamas/Robe for Mom – if you’re especially close with the new mom, I love the idea of gifting cozy pajamas. She will be living in them for a few months after the baby is born! Currently, my favorite are Lake Pajamas. 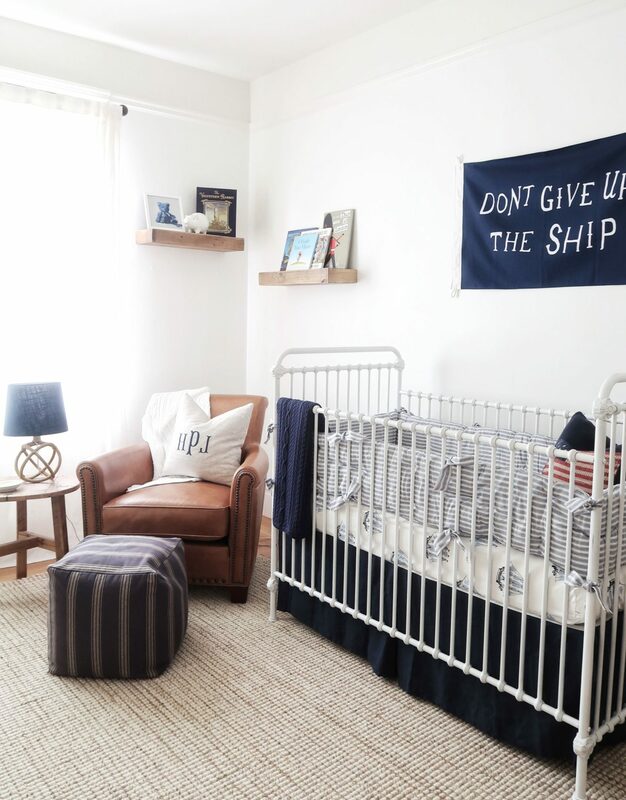 I had so much fun putting Henry’s nursery together. I wanted a look that wasn’t too babyish so that we could make some of the pieces last through his “big boy” room. We went Ralph Lauren nautical – a look that will probably last with him for a while (hope ya like it, Henry!) 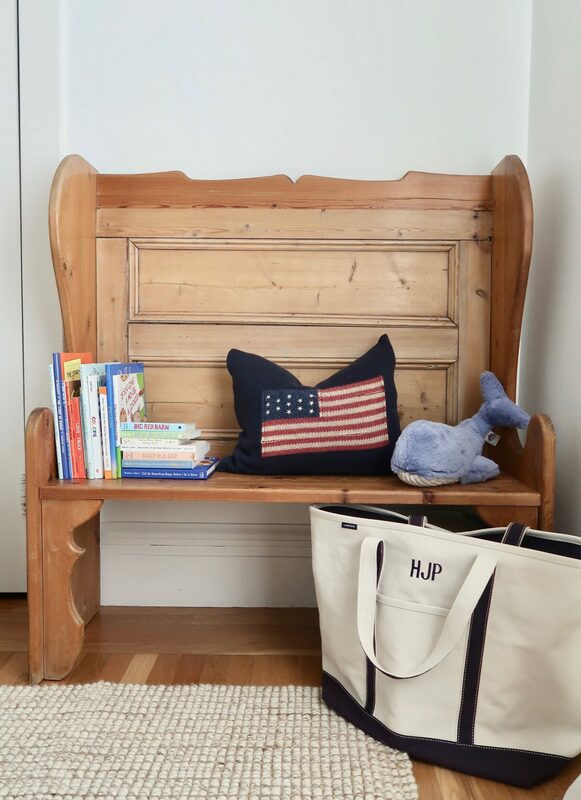 My favorite piece is the antique pine bench. My mom bought it over 25 years ago – it got a lot of love in my childhood home and then “visited” our family friends house in Napa for the past 15 or so years. Now, it fits perfectly into Henry’s nursery and is serving as a little bookshelf.